He who laughs last -- thinks slowest. Everyone has a photographic memory -- Some don't have film. A day without sunshine is like -- well, night. On the other hand -- you have different fingers. I just got lost in thought -- It was unfamiliar territory. Seen it all, done it all -- can't remember most of it. I feel like I'm diagonally parked -- in a parallel universe. You have the right to remain silent -- Anything you say will be misquoted, then used against you. It is said that if you line up all the cars in the world end to end someone would be stupid enough to try and pass them. You can't have everything -- where would you put it? This edition of the Yellow Gazette features some new building tips on the Building Tips page -- some about making server side movers a bit easier to develop. The Builder of the Month is Angel01, who has developed some very skillful uses of the adone and move commands. Definitely worth a visit to his sites. 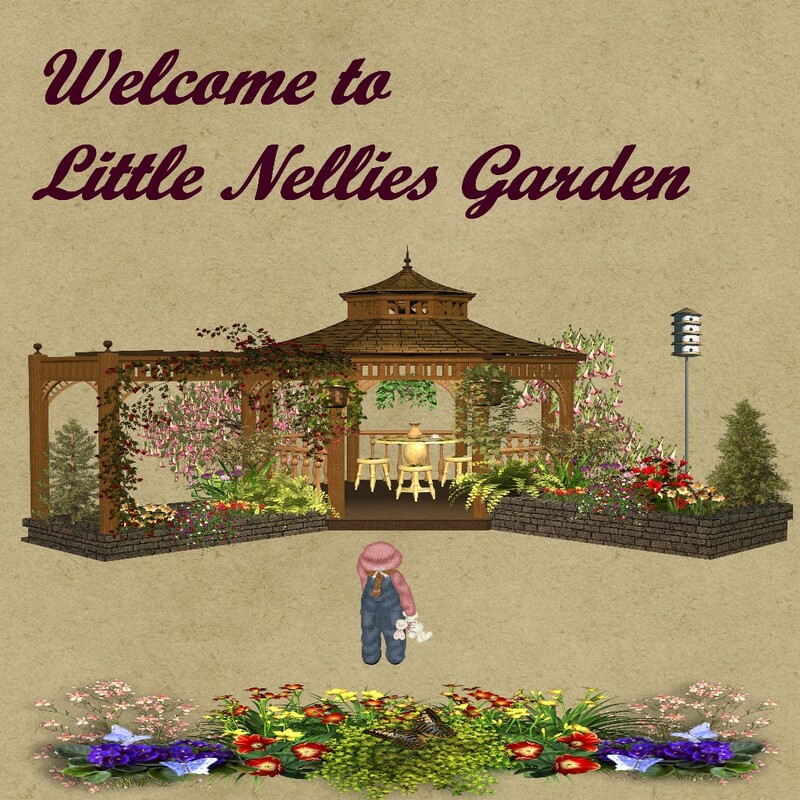 Little Nellie has a whole set of new plants for you to use in your landscaping developments, as well as more tips on how to get "...three plants for the price of one". And finally, Digigurl is cooking up a big event for Yellow which will happen soon. Be sure to check out the latest messages to see what's happening there. The Results are in! The Great April Treasure Hunt. Yellow Rock Park was the scene of more than 25 citizens and tourists competing for a one-year citizenship courtesy of AWI on March 14th. The four trails led the treasure hunters through many of the areas of the park and beyond. 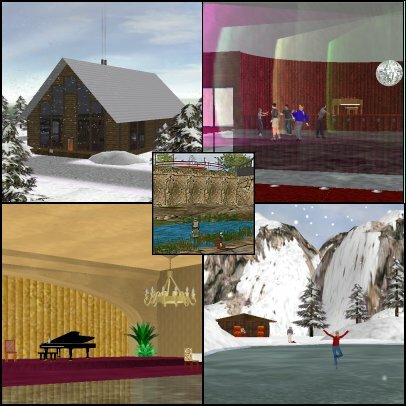 From hotels and disco clubs to winter lodges and skating ponds the participants journeyed through various builds to the final destination where the treasure chest was located. The first place winner was "GeertJan" with Riff and Ryan T coming in second and third. In spite of a few wrinkles, it seems a fun time was had by all.